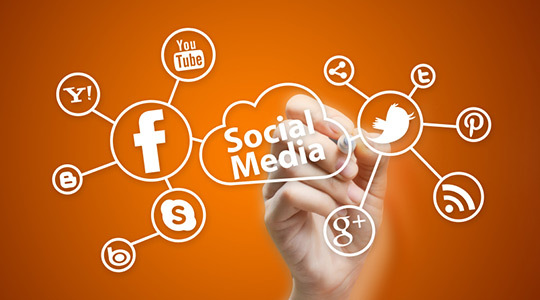 Social media is an important addition to any agent’s marketing mix – when used appropriately. More often than not, though, I see it being misused by agents. Just because you can post your latest listing or open house on your Facebook profile or Instagram account doesn’t mean you should. Social media should be used to be exactly that: social. Use it to expand your network and deepen your relationships. You do that by listening and engaging with what your network has to say. Value really is key. By adding value, you can cut through the white noise and provide something people actually want. And your latest open house isn’t it. If you want to use social media to build your business you need to treat it like any other marketing tool in your mix. Before you jump in feet first, take a step back and develop a strategy. Although the monetary cost to being on most of the social media sites is low to non-existent, what you do have to do is invest your time. And being in the service industry your time is money. This is often one of the major objections I hear from agents: social media is just a black hole for my time. And yes, it certainly can be. But that is only if you don’t take the time to develop a strategy and log on with the intent of spending a set amount of time executing that strategy. And don’t let yourself get distracted by clicking on that video of the cute baby goat doing cute baby goat things! What are your goals? You need to set goals so that, down the road, you can evaluate what you have accomplished and compare it to what you set out to do. It is important when setting goals to make sure they are SMART: Specific, Measurable, Attainable, Realistic, and Time-specific. Who are you trying to reach? Who is your target market, and which social media sites are they likely to use? What sort of message will resonate with them? Social media can help you build relationships but you need to know who you want to build those relationships with. What is your online brand? It is important to spend time up-front figuring out exactly how you want to position yourself on these sites. Make sure that you keep things consistent throughout your different social media profiles and that this is also consistent with how you position yourself offline. Also ensure that your positioning will resonate with your target market. Where can you add value? Good quality content that people appreciate receiving will engage your audience and allow you to really leverage social networking sites to the max. What do you know more about than any other agent in Toronto? If you share great content, you will stay top of mind with your centers of influence, but your network will naturally want to share that content with people in their own networks. With which sites to start? Identify one or two social sites with which to start. The key is figuring out which social sites the people in your network are using and which ones your target market is using. Focus your energy there. If neither your clients nor your target market use Instagram then why should you? Social media can be a great tool to help an agent build their business as long as it is being leveraged appropriately. Take the time to set out a social media plan that will allow you to not only curate your brand for your specific audience, but also help ensure you don’t waste your time by getting distracted. Focus on always adding value to your network and, be sure to set goals so you stay on track.